If you saw my ChuChu Rocket post a few days ago, you know that the Sega Master System died a quick death in America but actually survived well into the 1990s in Europe and particularly Brazil. 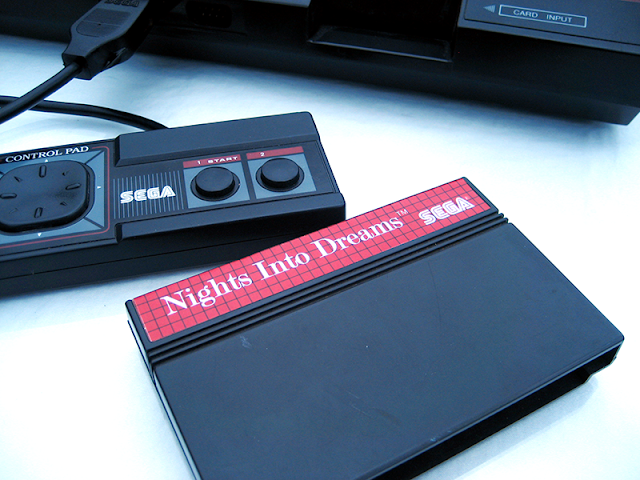 There were some games released for it that you might not have expected to see on an 8-bit system such as Mortal Kombat 3, Sonic the Hedgehog 2 and Sonic Blast in the late year of 1997. 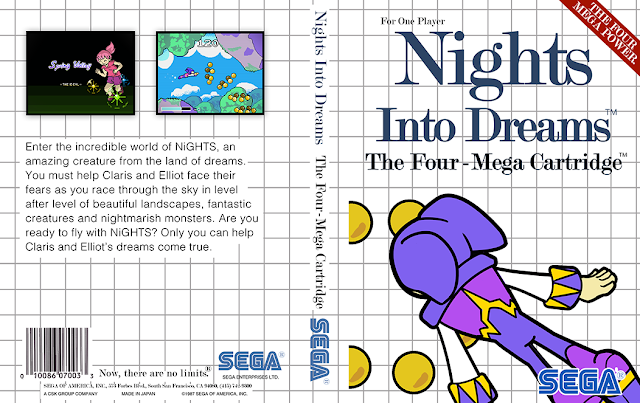 However, did you know that Sonic Team also developed a Master System version of NiGHTs Into Dreams for simultaneous release with the Saturn version in 1996? Presumably NiGHTS SMS version was canned for the same reasons ChuChu Rocket was, but once again I've dug up some promotional shots for the game that I found in an old issue of Gamepro Magazine. Why they didn't hire a better photographer for these, I can't tell you. Oh wait I'm lying again. 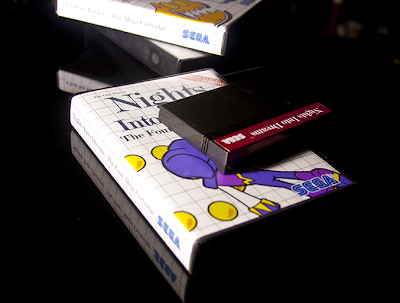 This is part two of my Sega Master System "downgrades" project! This time I made some fake screenshots for the game instead of simply pasting in shots from the real game. 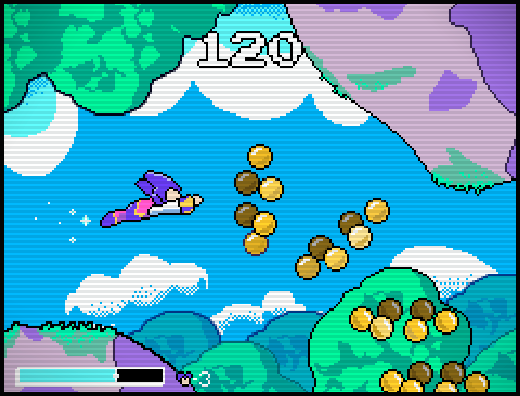 I attempted to go for the same garish colors you sometimes find in Master System games such as Fantasy Zone. 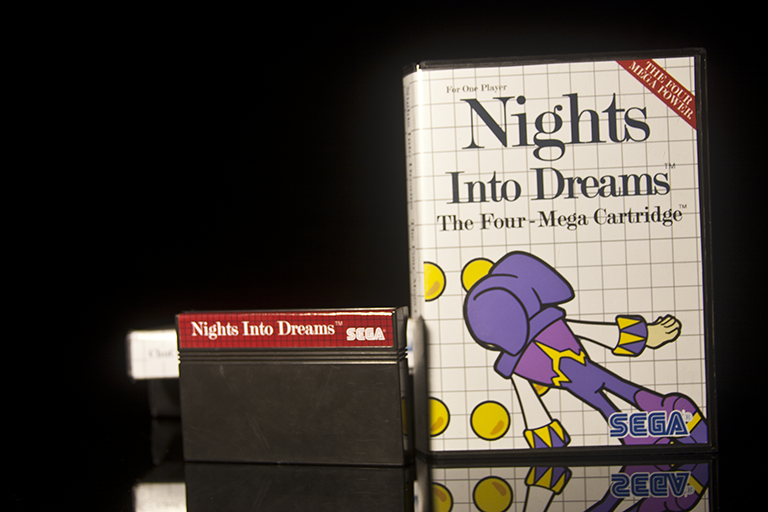 Sure they don't exactly look convincingly tile based, but this is a FOUR MEGA CARTRIDGE, surely they could squeeze in some nice graphics.